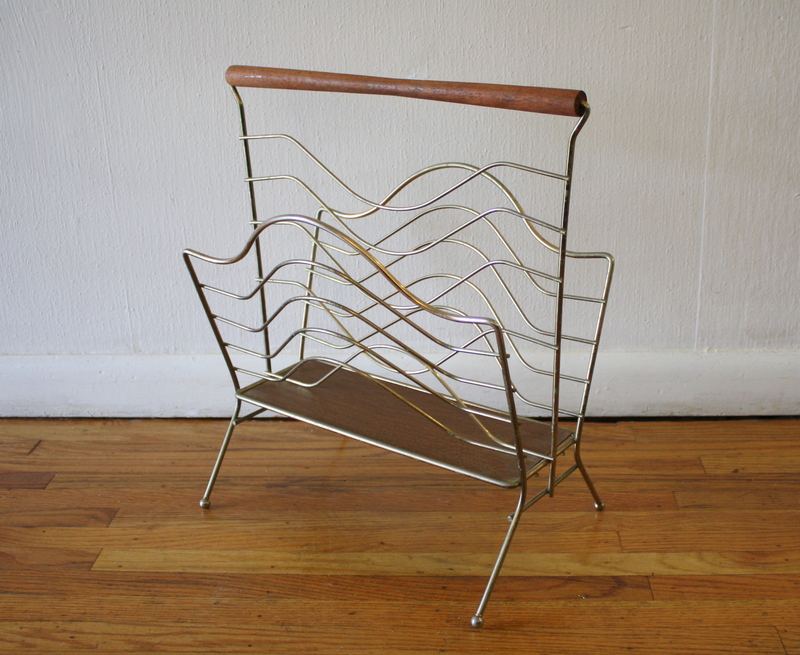 This is a selection of mid century modern magazine racks. 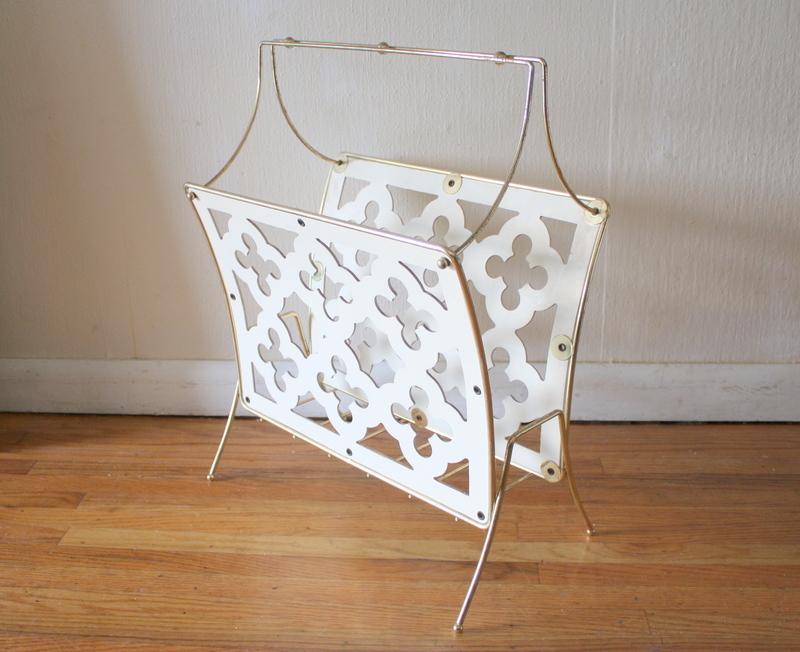 The first is a brass and wood magazine rack with a modern cut out pattern in white. 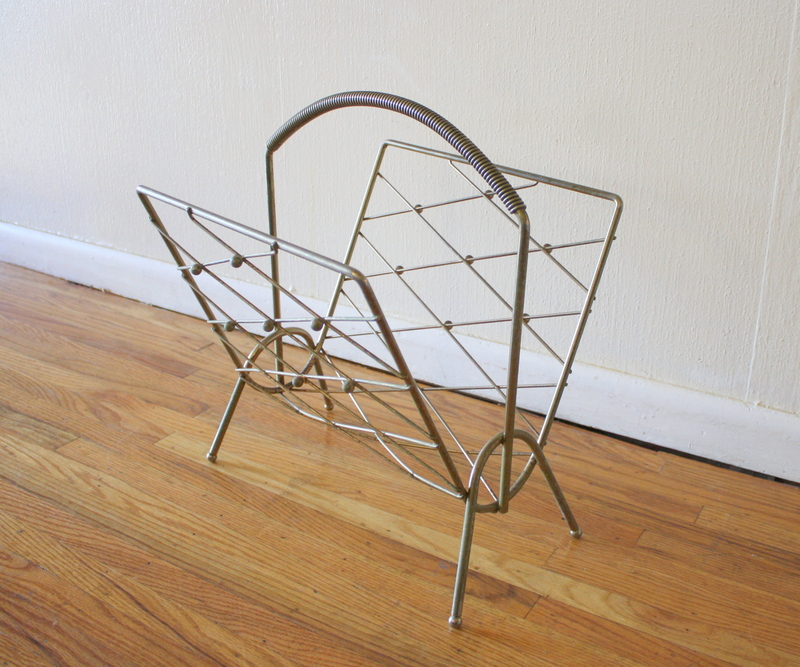 The second is a metal wire magazine rack with an atomic ball design. The third is a brass magazine rack with a slender wood handle. Please check captions for availability and prices. All 3 magazine racks are sold.